Located within the Department of Transportation, the Federal Railroad Administration (FRA) is responsible for developing and enforcing railroad safety regulations. FRA also administers railroad assistance programs, conducts research and development to support improved railroad safety and helps rehabilitate the Northeast Corridor rail passenger service. By consolidating government support for safe rail travel nationwide, FRA makes sure that safe and effective rail travel is available to all. Plans for a unified department of transportation in the US government go back to President Thomas Jefferson’s administration. His Treasury Secretary, Albert Gallatin, tried to enlist the help of the Coast Guard and Army Corps of Engineers to develop a cohesive plan that would facilitate transportation, especially in support of increased trade. In 1808, Gallatin recommended that the federal government subsidize internal improvements like the National Road. But no solid attempt came about to create a cabinet-level transportation department until the 1960s. In 1965, Najeeb Halaby, administrator of the then-independent Federal Aviation Agency, proposed consolidating his agency with other transportation-related agencies in order to facilitate sharing of information, contracts and resources. Charles Schultze, director of the Bureau of the Budget, and Joseph A. Califano, Jr., special assistant to President Lyndon Johnson, pushed for the new department. On October 22, 1965, a federal task force submitted recommendations that advocated for a Department of Transportation that would include the Federal Aviation Agency, the Bureau of Public Roads, the Coast Guard, the Saint Lawrence Seaway Development Corporation, the Great Lakes Pilotage Association, the Car Service Division of the Interstate Commerce Commission, the subsidy function of the Civil Aeronautics Board and the Panama Canal. President Johnson agreed, and after some modifications, sent Congress a bill to establish the Department of Transportation (DOT), charged with coordinating and managing transportation programs. President Johnson hoped to increase transportation safety through the work of DOT, which included not only existing agencies drawn from other federal departments but also new offices. One of the newly created offices within DOT was the Federal Railroad Administration, which was to help improve safety in the railroad industry. The Federal Railroad Administration (FRA) is one of 10 offices in the Department of Transportation concerned with intermodal travel. 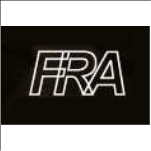 FRA’s responsibilities include developing and enforcing safety regulations relating to railway travel in the United States. The agency administers railroad assistance programs, conducts research and development in support of improved railroad safety and national railroad transportation policy and provides for the rehabilitation of Northeast Corridor rail passenger service. In addition, FRA consolidates government support of rail transportation activities. Railroad Development is responsible for federal investment and assistance to the rail industry, as well as the development and implementation of administration policy relative to intercity rail passenger service and high-speed rail. The office sponsors research and development activities to advance science and technology for railroad safety and offers investment opportunities for small freight railroad projects through the Railroad Rehabilitation & Improvement Financing program. Safetypromotes and regulates safety throughout the nation’s railroads. Federal safety inspectors operate out of eight regional offices and specialize in six safety disciplines and numerous grade crossing and trespassing prevention initiatives, including: Signal and Train Control; Track and Structures; Motive Power and Equipment; Operating Practices; Hazardous Materials; and Industrial Hygiene. The office also deals with Highway-Rail Grade Crossing Safety. The office trains and certifies safety inspectors to enforce rail safety regulations and also helps to analyze railroad accidents to determine trends in railroad safety. The work culminates in the collection of data and conversion into statistic tables, charts and reports. Administration and Finance is responsible for directing and coordinating the administrative programs and service of the FRA. Sub-offices include: Human Resources; Information Technology; Acquisition and Grants Services; Financial Services; and Budget. The office is also responsible for coordinating government-wide management reforms. Chief Counsel includes the Safety Law Division, which is responsible for developing and drafting the agency’s safety regulations, as well as assessing civil penalties for violations of safety regulations. The General Law Division provides legal services to FRA’s various offices on issues such as the Freedom of Information Act, Federal Tort Claims Act and the Surface Transportation Board. Civil Rightsprovides leadership, policy guidance, support and coordination of FRA’s various offices and external customers to ensure effective and consistent civil rights programs. The OCR program processes internal and external complaints, assists with minority interns and special observances and oversees diversity functions. Policy and Communicationsincludes the Office of Policy and the Office of Public Affairs. Policy provides analysis and recommendations on railroad business matters, including mergers and restructuring, economic regulation, rail economics, financial health, traffic patterns and network analysis, management issues, freight data and operations, intermodalism, environmental issues and international programs. Public Affairs coordinates with other agency departments in developing information for release to a variety of print and electronic news outlets and to the general public. Ensco, Inc., the agency’s largest contractor, is a company specializing in advanced safety technologies for the transportation industry. They service the aeronautics, avionics, chem-bio defense, enterprise protection, GPS-denied geolocation and navigation, healthcare, rail, security, technical, underground facility and object characterization and weather decision industries. Ensco regularly contracts with NASA and the U.S. Department of Defense on a number of initiatives. In April 2007, the future of the Dakota, Minnesota & Eastern Railroad was left uncertain when the FRA turned down its request for a $2.3 billion loan to finance an expansion into Wyoming’s coal-rich Powder River Basin. Although the Rochester Coalition and the Mayo Clinic have received approximately 12 pounds of DM&E records requested through the Freedom of Information Act (FOIA), the records were not released until the groups sued the FRA to enforce the FOIA request. The railroad has suspended development work on the southern bypass for the time being. Some have speculated that billionaire investor Warren Buffet and his Berkshire Hathaway’s part-ownership in rival coal-transporting railroad Burlington Northern Santa Fe might have something to do with the FRA’s decision. I am a retired college professor who was thrown off an AMTRAK train in the middle of a cross country train ride vacation! MY crime was smoking outside the train at a long station stop!! The conductor was rude,irrational, impolite and a bully.I will never use Amtrak again. This publicly funded agency is a disgrace. The conductor who threw me off the train should be fired. Travelling public should never be treated this was. On July 24, 2015 I sent a letter to the Amtrak Office of Customer Relations,60 Mass Ave. NE, Washington,DC re: case#3047673, reservation#C3B968. My letter has not been returned to me therefore it must have been delivered. It is almost 3 months with no response...WHY? This is unacceptable!! Sarah E. Feinberg, who has been acting administrator of the Federal Railroad Administration (FRA) since the beginning of 2015, was named to fill the post on a permanent basis by President Barack Obama on May 29, 2015. The Senate Committee on Commerce, Science, and Transportation held a hearing on her nomination on September 17. Feinberg was born October 3, 1977, and almost immediately was steeped in politics. As a child, she went to campaign events with her father, Lee Franklin Feinberg, as he ran for West Virginia state legislator and after he won “sat on his lap while he was voting,” she told Politico. Her mother, Mary E. Stanley, was until 2013 a U.S. District Court judge in West Virginia. Feinberg grew up in Charleston, West Virginia, and attended Charleston Catholic High School, where she ran track and cross-country. She graduated in 1995 and went to Washington and Lee University, where she continued to run competitively. Feinberg received her B.A. in politics in 1999. She landed a job as a staff assistant for the Senate Veterans Affairs Committee right out of school. She worked briefly for a marketing company in Charleston and for the Environmental Working Group, but quickly returned to politics. In 2000, Feinberg was the West Virginia communications director for the Gore-Lieberman campaign. It was during this time that she met the man who would become her husband, Daniel Pfeiffer, who later was White House communications director under Obama. By 2002, Feinberg was in South Dakota as communications director for that state’s Democratic Party and working on the Senate campaign of Democrat Tim Johnson. She returned to Washington in 2003 as deputy director of the Senate Democratic Communications Committee and later that year became press secretary for then-Senate Majority Leader Tom Daschle (D-South Dakota). In 2005, she was press secretary of the Democratic Congressional Campaign Committee and in 2007 was communications director for the House Democratic Caucus. She worked closely with Rahm Emanuel, who later became Obama’s chief of staff. Feinberg worked on Obama’s 2008 campaign and transition team. After the election, Emanuel brought her into the White House as his senior advisor and a special assistant to the President. She left government service in 2010 to be Bloomberg’s Director of Communications and Business Strategy. The following year, Feinberg decamped for Facebook as its director of corporate and strategic communications. Feinberg returned to the Obama administration in 2013 as chief of staff to Transportation Secretary Anthony Foxx. She remained there until being named acting head of the FRA on January 12, 2015. Some have been critical of the decision to appoint someone with little transportation background to the FRA post, but others will be glad just to have a permanent appointee in an organization that has gone without one since the end of 2014. Feinberg has already had a lot of work to do. There have been several rail accidents involving tank cars filled with oil, some in her home state of West Virginia. The Department of Transportation has pushed for improvements in the cars, but has met resistance from railroads. Feinberg and Pfeiffer, who married in 2006, are separated. Joe Szabo, the first union official ever to lead the Federal Railroad Administration (FRA), was confirmed on April 29, 2009. Until his appointment, he worked since the mid-1990s as the top lobbyist in Illinois for the nation’s largest railroad workers union. He also has ties to Rod Blagojevich, the disgraced former Democratic governor of Illinois who was impeached because of accusations of corruption and influence peddling. A fifth-generation railroader whose ancestors worked for the Chicago, Burlington & Quincy, as well as the Wabash and Illinois Central (IC) Railroads, Szabo, 51, was first introduced to the railroads by his father, who worked as an IC switchman and a union officer for 14 years. While still in high school, he helped his dad with his bookkeeping work as secretary/treasurer of Local 1299 of the United Transportation Union (UTU), the nation’s largest railroad union. Szabo’s first railroad job was with the IC in 1976, where he worked as a yard switchman, road trainman and commuter passenger conductor. He then became an employee of Metra when IC sold its Commuter Division in 1987. In 1984, he followed in his father’s footsteps by winning election as secretary/treasurer of UTU Local 1290. Szabo later progressed to become Local 1290’s delegate and legislative representative, eventually winning election as vice chairman of the UTU Illinois Legislative Board in 1991. During this same time period, he earned his bachelor’s degree in labor relations from Governors State University in 1990. In February 1996 he became state legislative director for UTU, making him the union’s top lobbyist in Illinois. In October 2006 he was appointed a vice president of the Illinois AFL-CIO, and in October 2008 was elected to a full four-year term, while still remaining as state legislative director. From January 15, 2009, until his confirmation as head of the FRA three months later, Szabo was on interim assignment to UTU’s National Legislative Office in Washington, DC, serving as Alternate National Legislative Director, following the death of the union’s top federal lobbyist. Under Szabo the UTU in Illinois wrestled with Canadian National Railway over hours-of-service rules, and Iowa Interstate Railroad over who could run a locomotive on its main line. At other times, the union battled Norfolk Southern Railway, Indiana Harbor Belt Railway, BNSF Railway, Union Pacific Railroad and Alton & Southern Railway. Parallel with his union work, Szabo has been active in local government in the Chicago suburb of Riverdale, home to several large rail operations, serving 10 years as a Village Trustee before becoming mayor from 1997-2000. He also served as a member of the South Suburban Mayors Transportation Committee and vice chairman of the Chicago Area Transportation Study’s Executive Committee. Following the 2002 gubernatorial election of Rod Blagojevich (D), Szabo co-chaired the Freight Rail Subcommittee of the new governor’s transition team. 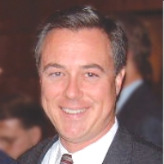 In 2005, Szabo was assigned by the UTU International to the Federal Railroad Administration’s Rail Safety Advisory Committee, where he participated in the drafting of rail-safety regulations. In addition, he held an advisory position on the State of Illinois Growth Task Force, and served on the Executive Council of Chicago Metropolis 2020, as a member of Business Leaders for Transportation, and as a member of the legislative advisory committee for the Metropolitan Planning Council. It’s no surprise that Szabo was tabbed by Obama to join his administration. In addition to being a well-known lobbyist in Illinois, Szabo made sure UTU members walked precincts in support of the President’s 2008 campaign.